Russian Energy Minister Alexander Novak said that there is a concrete agreement between Russia and Iran for purchase for 12 planes already. 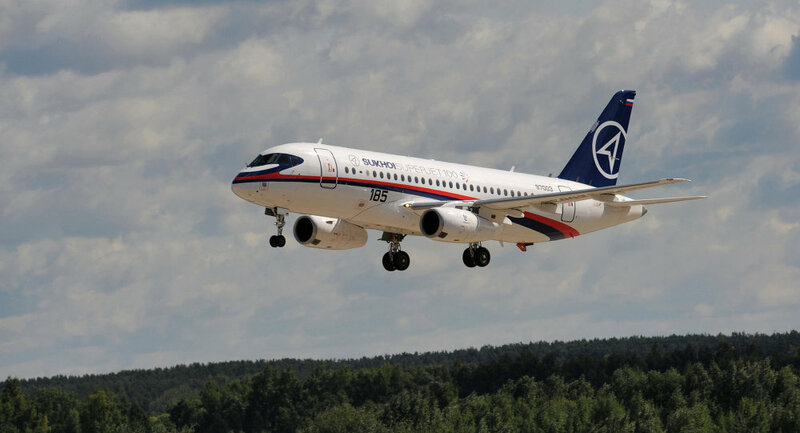 VLADIVOSTOK (Sputnik) — Iran has shown interest in purchasing 100 Russia’s medium-haul Sukhoi Superjet 100 (SSJ100) passenger planes but the agreement has only been reached regarding 12 aircraft as of the moment, Russian Energy Minister Alexander Novak said Saturday. "We are working out with our Iranian partners supply of our Sukhoi Superjet 100 aircraft. Our colleagues have confirmed that there is a concrete agreement for 12 planes already. In the short term, we are considering 30 aircraft. This is just the beginning, because overall, the Iranians are interested in purchasing 100 Sukhoi Superjet aircraft," Novak said. On Tuesday, Russian President Vladimir Putin said talks were underway about exporting SSJ100 planes to Iran. The SSJ100 is a twin-engine plane made by Russia's Sukhoi Civil Aircraft Company. It can transport up to 98 passengers at a distance of up to 2,700 miles, and costs around $36 million in its basic configuration. The jet made its maiden flight in May 2008.